Lidia Isac was born on 27 March 1993 in Saint Petersburg, Russia, where her parents were students, but shorly after her birth family has returned to Moldova. For 4 years she was involved in the professional sports dance club "Codreanca" and was practising dances. However, when Lidia studied in the fifth form, her French teacher drew attention to the unusually low pitch of the girl's voice and gave her a task to learn the songs of Edith Piaf – this is when the artistic career of the contestant started! She graduated from a music school (studied piano) in 2008, has been trained at singing since 13. She studied at the Department of Variety and Jazz Vocal of the Academy of Music, Theatre and Fine Arts. She has taken part in many contests, including: the International "Silver Yantra" Competition for Young Performers (2006, Bulgaria. Special Prize), the National Festival of French Song "Chantons, Amis" (2007, Grand Prix), international musical contests in Chisinau (Youth Jury Award, Audience Award, etc). In 2003, Lidia, along with other soloist - Sasha Druc, has qualified through the long casting process (over 40 participants) in the framework of the project StarMaker of manager Sergey Orlov and became member of the Glam Girls duo. During the two years of it's existence, the girls managed to take part in the national final selection for the Eurovision Song Contest in 2013 (12th with "Celebrate"), 2014 ("You Believed In Me") and 2015 годов (14th solo with "I Can't Breathe" and in duet with "Magia"), enter with the song "Celebrate" in the top 20 most rotated on the radio songs of Moldova, to sing with Arseniy Borodin (group Chelsea) and Nodar Reviya (Voice 2), to shoot a video for the song "You Believed in Me" written by the songwriters of the United States and Sweden, holders of the "Grammy" award. Usual stage set of the artistes is divided into several parts. The first is a set of super hits of the disco era. Here they sang Boney M, Donna Summer, Michael Jackson, ABBA, Duft Punk and so on. The second part - is the most modern dance music such as Eva Simmons, DJ Tiesto, Avicii, Pharrell Williams, Rihanna. The third - a few dance hits of the Russian market. The fourth - their own songs that became hits. Lidia likes reading, outdoor recreation, listening to good music, going to theatres, galleries, concerts and festivals. She regularly attends the gym. 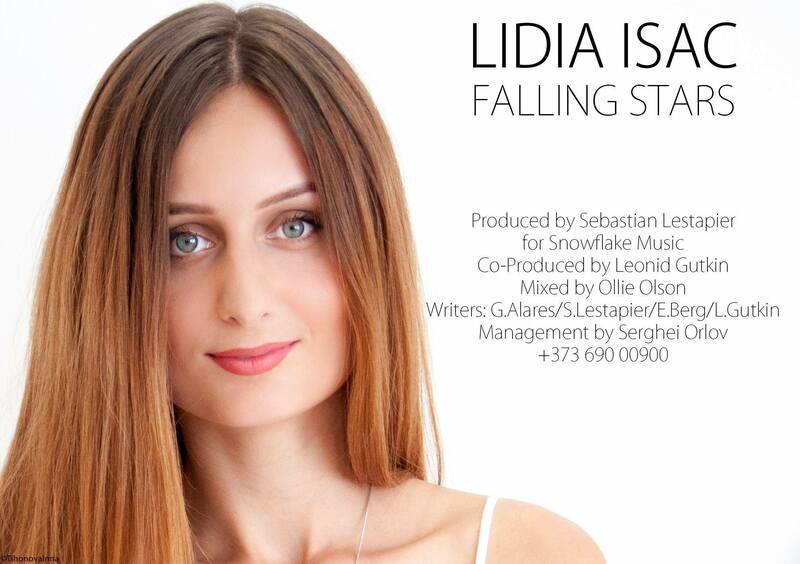 In the nearest future, Lidia plans to record her debut album, both solo and in a group. She often performs as the female voice of "SunStroke Project" band, sharing with them duet hits, such as "Run Away" or "Superman". Her latest achievements include participation in the "New wave 2014" competition finals in Yurmala. "This is an experience that touched me very much. I stayed there for two weeks and I learned a lot from a famed director Alexander Revzin. He taught us how to be artists, how to transmit energy to the public. I met many celebrities who gathered there, like Alla Pugachova and Philipp Kirkorov. Following this contest I have skyrocketed". Lidia wins Grand-prix of the "Baltic Extravaganza 2015" in Saint-Petersburg, first place in "Meikin Asia 2015" in Issyk-Kul, Kyrgyzstan, third place in the "East Bazaar 2013" competition in Yalta, participation in the Romanian version of "The Voice". In 2015 she has graduated from the Faculty of Journalism and Communication Sciences and participated as a TV correspondent in the Eurovision 2015 in Vienna (where on her turn she and SunStroke project were interviewed by ESCKAZ). After that she released cover version of Loïc Nottet's "Rhythm Inside", and together with American composer David Westerhout took part in online stage of Swiss preselection for Eurovision Song Contest 2016 with "Citizens of the world". As the most impressive facts about herself Lidia says that she loves to sing opera, she can bake a very tasty Moldavian traditional cakes and she has a tattoo with the Latin words "Carpe Diem" that means "live the moment". "I always value the moments that life is giving me". Song "Falling Stars" was written by the international group of songwriters: Gabriel Alares, Sebastian Lestapier, Ellen Berg, Leonid Gutkin, which includes the authors of the song "A Million Voices", with which Polina Gagarina took second place at the Eurovision 2015, as well as the song "What if", with which Dina Garipova was ranked fifth in the Eurovision Song Contest 2013. Producers of Falling Stars are Sergey Orlov, Corina Caireac, Sebastian Lestapier and Leonid Gutkin. Russian composer of the song, Leonid Gutkin, arrived in Chisinau specially to record a song with Lidia. Sound was produced by the the famous Ollie Olson, who did the mix and sound in the song "Euphoria", which in 2012 brought victory to Loreen of Sweden. "Eurovision - it's a huge contest watched by millions of people. It's amazing when you can deliver your song, emotions to such a big family, the Eurovision family. Also, it's a great opportunity to make new friends, collaborations, build bridges between cultures and discover the beauty of music, that is so different in every country"
Moldovan broadcaster TRM has invited Romanian broadcaster TVR to come together in the Moldovan entry "Falling Stars". "The public television channel Moldova 1 wishes to express its surprise and regret for the circumstances in which Romania was excluded from the Eurovison Song Contest.We regret that the exceptional performance of Ovidiu Anton, the winner of the national selection Eurovision Romania 2016 will not be seen on the stage in Stockholm. We believe that this is an unpleasant precedent for a public television.We stand in solidarity with the whole TVR team and we are sorry that our teams will not be able to stay in the same room and support each other, considering our common cultural values", says the statement of Mircea Surdu, Director TV Moldova 1. "Along with this message of solidarity, we are bringing along the idea of a cooperation between the representatives of our countries.In this context, we are inviting Ovidiu Anton to perform on the Eurovision stage alongside the representative of the Republic of Moldova, Lidia Isac.We are convinced that the two of them would make an exceptional duet with the song Falling Stars, during the first semifinal on May 10. 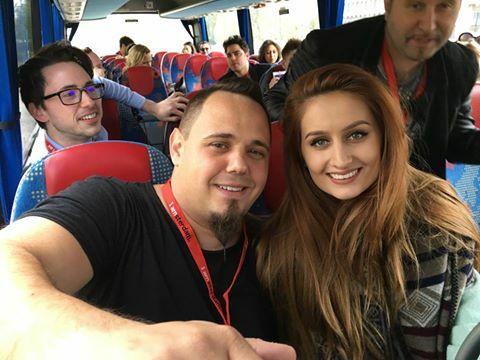 Clearly, the changes in the show concept, at such a late stage, will also involve the agreement of the contest organizer.We hope that, through our common efforts, we will be able to sort out this crisis"
In case Ovidiu will reject the offer to join Lidia in performance on Eurovision stage, Moldovan broadcaster has also invited him to perform at the Eurovison open air show which will be organized in the capital of the Republic of Moldova, followed by the live broadcasting of the ESC 2016 final. The event will be broadcast live by the public TV channel Moldova 1. "I bow to our brothers from Moldova for their extraordinary, unique and noble act. Because I know how much work is in preparation of the Eurovision performance and how important is Eurovision for the artist career, I don't want to affect performance for which Lydia has invested so much energy in any way. I can't accept to get on the Eurovision stage bringing risks for other artists. I want to sing Moment of silence for Romanians and Eurovision fans everywhere. Success is in you and it is your time to shine! Thanks again for this great gesture. I'll never forget it". Lidia Isac was filming Moldovan Eurovision postcard today. "I finally had the perfect opportunity to wear mauve and white organza dress by Raquette, which perfectly fit into the concept of the video", wrote Lidia on her social network profile. A team of filmmakers and cameramen from Sweden came to Moldova for these shootings, which took place at the Astronomical Observatory of Technic University, historical complex "Old Orhei", touristic complex "Poiana Bradului" and park "Valea Morilor". Moldovan representative Lidia Isac continues preparations for the contest in Sweden. "In April I will participate in the most important promotion concerts for Eurovision in Amsterdam, London and Moscow. Probably, we will shoot a music video for the track for the online promotion. Likewise, we will also record an acoustic version of the song. The song is already on air on the several radio stations in Europe," said Lidia in her interview to PROMOTIME. Singer is also hard working on the stage presentation and says it will be full of surprises. "The show will be modified and perfected, as well as the the stage outfit". Lidia says she doesn't pay attention to critics, but focuses her energy and ideas on the show in Stockholm and achieving main goal: to represent Moldova as good as possible on stage in Sweden. Her biggest support comes from the producer and her team who work daily to get a nice result. Also on her side are family, friends and fans, who encourage the performer. Lidia's personal favorites for this year's Eurovision are representatives of Latvia, Sweden and Norway. She says that this year there are many artists with individuality. Lidia Isac has given extensive interview to Liber TV and we publish extracts from it. - Last year I was in Austria at Eurovision with the band Sunstroke Project and there I met one of the Polina Gagarina's entry composers, Leonid Gutkin. So I gave him to listen to some songs of mine. He was excited about my voice and finally we decided to collaborate. In the autumn, together with his team from Sweden, he sent me a demo of the song that I really liked and I decided to record it and enter to the competition. The songwriters twice had entered Eurovision top 5, they are professionals who have experience in writing top songs for the contest. The lyrics speak about the feeling of love, and the message is that love is like shooting stars, it can be as brilliant and unexpected at the same time. - I was honored to be invited to the final of the Romanian national preselection and sing at the very end of the show before the announcement of the winner. I liked it very much there, Romanians are very hospitable and welcomed me with the open arms, and I felt very good on stage. The quality of the broadcast technique is also very good there. It is different with Moldovan national final, especially in the TV picture and sound. In Moldovan preselection I felt good on stage and I had the impression that the sound was also good but then on the TV came out a different sound. In Romania, however, the sound in the hall and the sound transmitted on television were both good. - In the Stockholm we will have a totally different show and another dress. We are now in the process of communication and search for the directors who will create the staging. We think to do something modern, as we will not have many dancers, so we want to focus more on the video screens and LED panels. I can not give you specific details about the show or outfit, because we are in the process and it is still too early. We have to see first of all what the show will be about, and then we can see what outfit would fit the given show. - Everything requires improvement: performance, show, outfits, stage movement! To represent Moldova at Eurovision is a challenge for me. It is a stage where I will change. In fact, I already began to change inside of me. I understand that it's my time, I'm ready and this contest will be a springboard for my career. Eurovision is an enormous promotional platform, because you're on stage and sing for millions of people, spectators and viewers. But I will not be stopping there, I will be recording new songs, I plan to release an album. After Eurovision you will hear a lot about Lidia Isac. - There has been constructive criticism and some critics that we do not understand. However, at the moment, I want to read what is positive, I want to charge myself with positive energy. I need now courage and confidence to focus on what I'm doing. This year will be very difficult for Moldova to qualify for the Grand Final because we perform in the first half of the first semifinal, while such supportive countries like Romania, Ukraine, are in the second semifinal. But still our primary goal is to qualify. We want to please with our song as many people in Europe as possible, even from the countries that usually are not giving us so many points. Lidia Isac was guest of "Cine vine la noi?" program where she has informed on preparing a promotional tour in Europe for her entry "Falling Stars". The list of it's destinations includes London, Amsterdam, several cities in Romania and other countries of Europe. According to Lidia Isac, performance in the first half of the first semifinal is not a favourable thing for Moldovan entry already, but she relies on the support of Russia. She already gave two interviews to Russian TV channels, which were curious learning about her place of birth - the city of St. Petersburg. She was born there while her parents were students. Lidia Isac says Eurovision provides a platform to the big stage for the young performers, and the names of it's participants remain remembered by music fans all accross the Europe. She said she realizes the great responsibility she has representing Moldova. Strength, power and confidence she draws from the support of televiewers and professional jury of the national preselection. On Sunday after her national final victory Lidia has also attended the show Bună dimineaţa de weekend!". Lidia Isac, winner of the national Moldovan preselection for the Eurovision Song Contest 2016 was invited to the talk show "Stop-cadru" TV Moldova 1. The young singer said she had already begun to sketch out some ideas for the show on May 10, testifying that she was eager to step on the big stage in Stockholm. The singer said she barely managed to have a nap after Eurovision, but confessed that she had already begun to plan the time so as to succeed with preparations for the Stockholm show. Although criticism addressed to the singer flowed like a river, Lidia Isac claimed she was ready to accept constructive criticism, adding that she would further work to prove she had deserved to win that competition. "It is normal to have controversy, some criticize, but mostly I enjoy that there are good views both in Moldova and abroad. This motivates me to work because I have two more months to change many things", said the singer. Lidia Isac promises an impressive show. 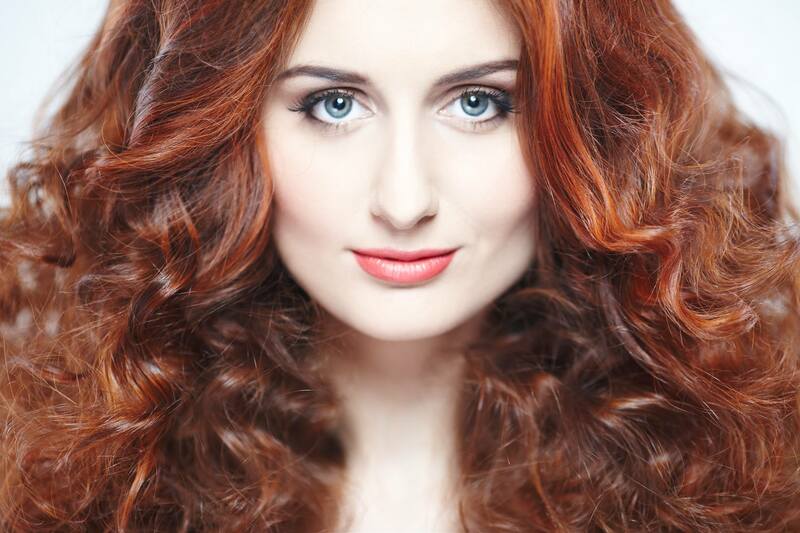 According to her, she aims to promote Moldova through her performance in Stockholm. 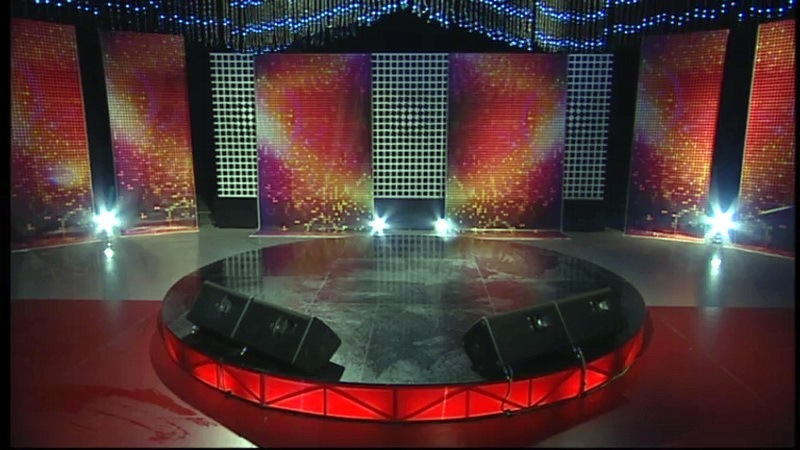 TV “Moldova 1” is ready for the grandest event of the year. According to Eurovision national stage's organizers, this year the show will differ completely from previous contests, due to sound and image. The decor consists of hundreds of lighting and LED screens that convey an impressive image. To install the equipment it was needed two days and three nights, organizers say. This year, the Eurovision 2016 national stage's scene has a total area of 140 square meters. "This is the first time we have dynamic setting that occurs not only inside screens. This is because we have installed moving screens, for the first time. Therefore, screens will move sideways during the show. Two days and three nights were needed to install the scene, because works have been done also at night. That's because the technology installed is massive and requires more time to be assembled," explained the Production Director, Leonid Melnic. We invite you to watch TRM report on the start of rehearsal. Studio No. 2 of Moldova 1 TV will host a great TV show. The contenders in the semi-finals of Eurovision 2016 started the dress rehearsals for this event. Each contender had 30 minutes for rehearsal. Lidia Isac was delighted with the sound and decor. She says that the stage is more spectacular this year. "I had more rehearsals before this one. I work with a professional team. I like the sound. I have been rehearsing since I filed the application. Hard work is necessary for best performance", said singer Lidia Isac. As the semi-finals approach, the singers have emotions and the competition is tough, say singers. "There are strong competitors in the semi-final and this encourages us. We are happy and we believe that we will be successful", said Max Fall, singer. Singers said that they had worked for about 2 months for this contest. "I really like the décor of the stage which is full of colors", said Rodica Aculov, singer. Manager of trio Elle Alla Donțu has offered to pass song "Tare", which has earned place in the semi-finals of Moldova preselection, to any willing performers. We remind that yesterday, the organizers has allowed "Elle" to present both their songs at the national preselection auditions, however stressing that "Extaz" can be performed only outside of framework of the competition, as guest act. At the same time, "Tare" ended up presented as the duet of Natalia Barbu and Nicoleta Dara. As a result, the song has qualified to the list of 24 semifinalists of the national selection. "In the national final can take part only those songs that were submitted for the participation in it until December 7th, according to the regulations of the national selection", once again stated member of the organizing committee of the competition, Leonid Melnic. Manager of the band has thanked all those who support their position, and especially the three performers themselves, calling them "the real heroes". Lawyer of the team Fadei Nagacevschi noted that the band is still planning to file a complaint with the European Broadcasting Union, and to challenge the decision of the organizing committee on the refusal of admission of "Extaz" to the competition in a national court. Official statement of withdrawal of "Elle" from the national preselection, however, at the moment, has not been reported. After listening to the 46 entries, national preselection jury of Moldova has decided on the list of 24 semifinalists to proceed to the next televized stage of the show. You can watch performances of the semifinalists in this playlist, and complete audition videos here. Will one of the favorites of the Moldovan Eurovision preselection, trio "Elle", replace one of it's singers, as well as entry for the song contest? 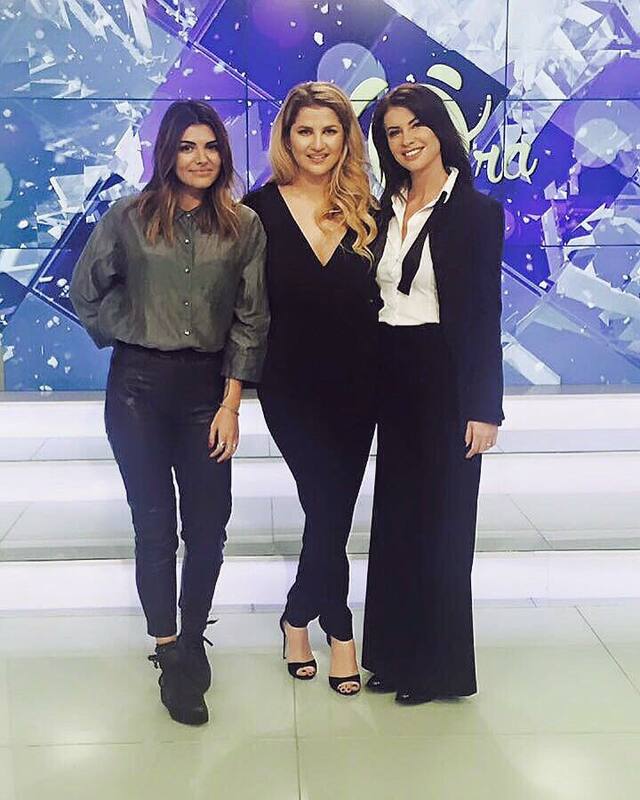 Immediately after the announcement of the list of participants of the Moldovan preselection for the Eurovision Song Contest, in the Moldovan press has appeared a series of publications about the participation in the competition of a new trio "Elle" made of Natalia Barbu, Nicoleta Dara and Tania Cerga. We remind that last year this trio has performed as guests of the national selection show. However, a few hours later the information has changed - and instead of Tania Cerga, publications began to refer to some "unexpected member", whose name will be revealed in a few days. At the same time, a third face in the promotional photo of the trio was also not distinguishable. Yesterday, the mystery was partially solved, and the band "Elle" presented its official line-up. It's third vocalist appeared to be Romanian singer Ale Blake, who as Cerga is part of the Studio One, and is known for numerous projects along with Sasha Lopez. However, at the same time with the presentation of the trio, was released a song "Extaz", while originally the list of participants featured "Elle" with the song "Tare". Manager of the project Alla Donțu has released statement informing that Tania Cerga had notified management of the project about her absolute impossibility to take part in the contest for unstated personal reasons. However, as the project had already required time, creative efforts and financial resources, it has been decided to keep it going and to attempt finding a third member for the trio, at the same time submitting demo version of the song "Tare" with removed vocals of Cerga. However, there was no suitable performer found to fit in the harmony and the concept of the song. In this circumstances, management of the project has decided to request from TRM a possibility to replace contest entry, considering exceptional circumstances around Cerga withdrawal. New proposed entry is "Extaz", which features Ale Blake as third member of trio. Donțu refers to the paragraph of the rules, stating "All issues not covered by the terms of the regulations should be examined and settled by the organizers of the national preselection". It is stressed that originally the band fulfilled all requirements for the participation in the competition, but the situation was unforeseeable and exceptional. Donțu adds that "Replacement of the song of "Elle" does not affect in any way the interests of other competitors, or, rather on contrary, by changing an entry in the competition the other competitors are favored because they have already promoted their competing songs and "Extaz" and Elle will get less time for the promotion". Donțu states: "If TRM will take a formal approach, "Elle" will be deprived of the chance to compete in the national ESC 2016 preselection". She underlines that organizers of the project are able to investigate all options, but it is certain that there was no bad faith in actions of "Elle" trio or it's management. Thus, she remains hopeful that the solution for the situation that is not covered by legal framework of regulations will be found based on the spirit of competition, principle of best practice and tolerance to the competing artists. Update: Today, the decision was taken. "Moldova Eurovision organizing committee decided not to accept the replacement of the entry, because it goes against the rules of competition", Leonid Melnic, a member of the organizing committee ESC Moldova, informed local media. Now, the band should decide if they want still to participate with the song "Tare" in competition. "The chances that we will withdraw from the competition are 90%", stated manager of the musical project Alla Donțu. We remind that live auditions for the national final of Moldova will take place on 19 December. 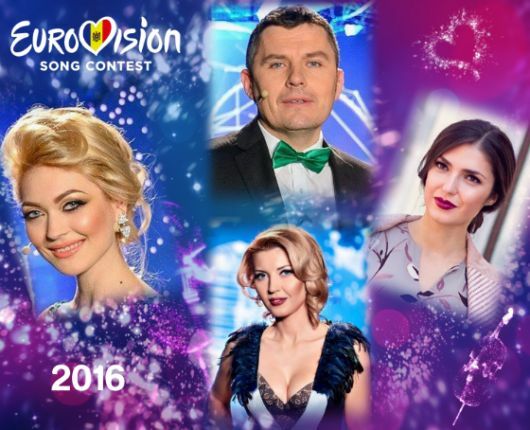 Moldovan broadcaster TRM was selecting it's Eurovision Song Contest 2016 entry through the national preselection "O melodie pentru Europa". Regulations for the preselection were published on 13 October 2015. After experiment allowing foreign performers last year, this year TRM has originally restricted national preselection to Moldovan citizen only. However, on 17 November, a change was brought allowing foreign vocalists in duets or groups with Moldovan artists, where at least 50% of lead vocalists of the entry should be Moldovan citizen. There are no restrictions concerning nationality of songwriters. Regular Eurovision rules apply to the entries. Deadline to submit entries has been set on 7 December 2015, 17:00. In total, 49 entries have been received (2 were disqualified for being performed by foreign artists only), and they can be heard on trm.md website and Youtube channel. 1. Internal hearing of the submitted materials by professional jury (performers, composers, lyricists, producers, etc.). The jury were to choose a maximum of 50 entries to proceed to the next step. The internal hearing was organized on 10 December 2015. The selection criteria was: melody, arrangement (orchestration), vocal and manner of interpretation, the originality of the entry. - This part was cancelled as number of submitted entries was below 50. 2: All performers shortlisted in at the first stage have presented their entries at live auditions, aimed to demonstrate their live vocal capabilities and entry proposed for the national selection. The live hearing took place on 19 December 2015. At this stage the backing vocals could be prerecorded and stage costumes or choreographic show are not required as the basic criteria for this stage of selection was vocal interpretation, stage presence, music and lyrics. The jury: Petre Toma, musician; Valeria Barbas, singer and composer; Andriano Marian, conductor; Ruslan Ţăranu, singer and composer; Luminiţa Dumbrăveanu, writer - has determined 24 semifinalists. The hearing was public and broadcasted live on trm.md website. Only one entry per the performer was allowed to proceed to the next stage. Complete audition videos can be seen here: 1, 2. 3. Televised preselection included two semi-finals on 23 and 25 February and National Final on 27 February. All shows were broadcasted live on TV Moldova 1, Radio Moldova Actualități, Radio Moldova Tineret, Radio Moldova Muzical from Studio NR.2 of TRM. From each semifinal 7 advanced to the finals as the result of combination of televote and jury vote (in case of the tie jury vote prevails), and one more was saved by public televoting during the aftershow. The national semifinals and final jury was composed of at least 5, and up to 11 members. Criteria used by jury included: the originality of the music and lyrics, vocals and manner of interpretation, concept of stage presentation. Winner of the national final was chosen again with combination of televoting and jury vote, and in case of tie jury vote had preference. On 01 February Litesound & Kathrine have announced withdrawal from the national preselection for personal reasons, being replaced by Valentina Nejel with "Va fi târziu". Draw of the semifinals took place on 11 February. During the draw ceremony TRM has announced partnership with Commercial Bank "Moldindconbank" and Mobile Operator "Unite". TRM broadcasts several Eurovision programs in the lead up to the semifinals: besides daily special "Postcard Eurovision 2016" participating artists also appear in Bună dimineaţa!, Bună dimineaţa de weekend! and Cine vine la noi? programs. Despite various statements of ELLE trio management to the media, they have not withdrawn their entry officially before the ceremony, and thus were drawn at #12 in second semifinal. Official notification of withdrawal was made only on 15 February, and Elle were replaced by Vitalie Todiraşcu. First semifinal of preselection was hosted by Gloria Gorceag and Sergiu Bezniţchi. Aliona Moon, Eurovision 2013 participant, performed as guest of the show. Also on stage were members of ballet show Just Friends. Second semifinal was hosted by Mihaela Crânov and Sergiu Bezniţchi, and special guests was band Gândul Mâței. The final was hosted by Sergiu Bezniţchi and Olivia Furtună, and special guests of the show were Pasha Parfeni, Eurovision 2012 participant and dancers of band Space. Jury panel at the semifinals included singer Iurie Mahovici, singer and composer Valeria Barbas, conductor of the Youth Orchestra Andriano Marian, actor Boris Cremene, singer and songwriter Geta Voinovan, composer Vladimir Beleaev, dancer Svetlana Gozun, singer and composer Ruslan Țăranu and actress Angela Ciobanu (semi 1), singer Ion Razza (semi 2). Jury panel in the final in addition to Mahovici, Barbas, Marian, Cremene, Voinovan Gozun, Razza included also head of National Opera and Ballet Theater Ion Brătescu, member of Composers Union of Moldova Pavel Gamurari, composer Liviu Știrbu and singer Aliona Moon (Eurovision 2013). The stage of the show this year was 140 sq.m big and for the first time it had dynamic setting and moving screens. The stage has been installed during two days and three nights. Лидия Исак родилась 27 марта 1993 года в Санкт-Петербурге, где ее родители были студентами, и вскоре после ее рождения они вернулись в Молдову. Четыре года она занималась в профессиональном спортивном клубе "Codreanca" изучая танцы. Но, когда Лидия училась в пятом классе, учительница по французскому языку обратила внимание на необычный низкий тембр голоса девочки, и дала ей поручение выучить песни Э.Пиаф: с этого момента и началась творческая карьера конкурсантки. Закончила музыкальную школу по классу фортепиано в 2008 г., занимается вокалом с 13 лет. Училась на кафедре эстрадно-джазового вокала в Академии Музыки, Театра и Изобразительных Искусств. Принимала участие во многих конкурсах, среди них — Международный конкурс молодых исполнителей «Серебряная Янтра» (2006 г., Болгария. Специальный приз), Национальный фестиваль французской песни «Chantons, Amis» (2007 г., Гран При), Международные музыкальные конкурсы в Кишинёве (Приз молодежного жюри, Приз зрительских симпатий и др.). В 2013 году Лидия, вместе с другой солисткой - Сашей Друк, прошли большой кастинг (свыше 40 участников) в рамках проекта StarMaker продюсера Сергея Орлова и стали солистками дуэта Glam Girls. За два года существования, девушки успели поучаствовать в национальных финалах отбора на Евровидение 2013 (12-е место с "Celebrate"), 2014 ("You Believed In Me") и 2015 годов (14-е место сольно с "I Can't Breathe" и в дуэте с "Magia"), войти с песней "Celebrate" в 20-ку самых ротируемых на радио песен Молдовы, спеть с Арсением Бородиным (группа Челси) и с Нодаром Ревия (Голос 2), снять клип на песню "You Believed in Me" которую для них написали авторы из США и Швеции, обладатели премии "Грэмми". Шоу артисток делится на несколько частей. Первая представляет собой набор супер хитов эпохи DISCO. Это треки, которые пели Boney M, Donna Summer, Michael Jackson, ABBA, Duft Punk и тд. Вторая часть - это самая современная танцевальная музыка Eva Simmons, DJ Tiesto, Avicii, Pharrell Williams, Rihanna. Третья - несколько танцевальных хитов российской эстрады. Четвертая - собственные песни, которые стали хитами. Любит читать, гулять на свежем воздухе, слушать хорошую музыку, бывать в театрах, галереях, на концертах и фестивалях. Регулярно посещает спортзал. Очень часто Лидия выступает в качестве вокалистки группы SunStroke Project, где поет с ребятами дуэтные хиты "Run Away", "Superman" и тд. Ее недавние достижения включают в себя участие в конкурсе "Новая волна 2014" в Юрмале. "Это был опыт, который оказал на меня очень большое влияние. Я пробыла там две недели, и очень многому научилась от известного режиссера Александра Ревзина. Он учил нас тому, как быть артистами, как передавать свою энергию публике. Я встретилась и познакомилась там со многими звездами, например с Аллой Пугачевой и Филиппом Киркоровым. После этого конкурса моя карьера пошла в гору". Лидия одержала победу на конкурсе "Baltic Extravaganza" в Санкт-Петербурге, первое место на "Мейкин Азия 2015" в Кыргызстане, третье место на "Восточном Базаре 2013" в Ялте, участие в румынской версии шоу Голос. В 2015 году она закончила обучение на факультете журналистики и коммуникаций и приняла участие в качестве телекорреспондена в финале Евровидения 2015 в Вене (где в свою очередь ESCKAZ взял интервью у нее и группы SunStroke project). После этого, она выпустила кавер-версию песни Лоика Нотте Rhythm Inside, а также с американским композитором Дэвидом Уэстерхотом приняла участие в швейцарском отборе для Евровидения с композицией "Citizens of the world". В качестве самых интересных фактов о себе Лидия называет то, что она любит петь оперу, может приготовить очень вкусные традиционные молдавские пирожные, у нее есть татуировка с латинскими словами "Carpe Diem", что означает "Лови момент". "Я всегда ценю те моменты, которая жизнь дает мне". Песню "Falling Stars" написала международная группа авторов - Габриел Аларес, Себастьян Лестайпер, Леонид Гуткин и Эллен Берг, среди которых авторы песни "A Million Voices", с которой Полина Гагарина заняла второе место на Евровидении 2015, а так же песни "What if", с которой Дина Гарипова заняла пятое место на Евровидении 2013. Продюсерами композиции Falling Stars выступили Сергей Орлов, Корина Кайряк, Себастьян Лестайпер и Леонид Гуткин. Российский композитор песни, Леонид Гуткин, приехал в Кишинев специально, чтобы записать песню с Лидией Исак. Саунд продюсером выступил знаменитый Олли Ольсон, которых делал микс и саунд в песне "Euphoria", с которой в 2012 году Loreen принесла победу Швеции. "Евровидение - это огромный конкурс, за которым следят миллионы людей. Потрясающе, когда ты можешь спеть свою песню, передать эмоции такой огромной семье, семье Евровидения. Также для меня это прекрасная возможность завести новых друзей, новые сотрудничества, возвести мосты между культурами и открыть красоту музыки, которая так отличается в разных странах"
Национальный вещатель Молдовы пригласил телевидение Румынии объединиться в соответствии со слоганом этого года Come Together в исполнении молдавской песни "Falling Stars". "Общественное телевидение Молдовы хотело бы выразить свое удивление и сожаление обстоятельствами, при которых Румыния была исключена из состава участников конкурса Евровидение. Мы сожалеем о том, что выдающееся выступление Овидиу Антона, победителя национального отбора Румынии, не будет показано на сцене Евровидения в Стокгольме. Мы считаем, что это весьма неприятный прецедент для общественного телевидения. Мы присоединяемся в знак солидарности ко всей команде TVR и сожалеем, что наши команды не смогут встретиться в Globen Arena и поддержать друг друга, учитывая наши общие культурные ценности", говорится в заявлении Мирчи Сурду, директора телеканала Moldova 1. "Вместе с этим посылом солидарности, мы бы хотели предложить идею сотрудничества представителей наших стран. В этом контексте, мы приглашаем Овидиу Антона выступить на сцене Евровидения вместе с представительницей Молдовы Лидией Исак. Мы убеждены, что они вдвоем смогут создать невероятный дуэт на песню Falling Stars, и представят его в рамках 1го полуфинала конкурса 10го мая. Конечно же, изменения в сценический номер, на такой поздней стадии, должны также быть утверждены и согласованы с организаторами конкурса, но, мы надеемся, что объединив усилия, мы сможем разрешить этот вопрос"
В случае, если Овидиу откажется от предложения выступить с Лидией на сцене Евровидения, молдавский вещатель также пригласил его выступить на опен-эйр концерте, который будет организован в честь Евровидения в столице Молдовы Кишиневе сразу после эфира финала конкурса 2016. Концерт будет транслироваться в прямом эфире телеканалом Moldova 1. "Я преклоняюсь перед нашими братьями из Молдовы за их чрезвычайный, уникальный и благородный жест. Поскольку я знаю, как много работы вкладывается в подготовку к выступлению на Евровидении и как оно важно для артиста, я не хотел бы повлиять каким-либо образом на выступление Лидии, вложившей в его подготовку столько энергии. Я хотел бы оказаться на сцене Евровидения, но не хочу этим подвергать риску успех других исполнителей. Я хочу исполнять Moment of Silence для румын и поклонников Евровидения изо всех стран. Успеха тебе, Лидия, пришел твой момент славы! Спасибо еще раз за этот уникальный жест. Я этого никогда не забуду". Представительница Молдовы Лидия Исак снимает сегодня свою визитку для Евровидения. "У меня, наконец, появилась возможность надеть лилово-белое платье из органзы от Raquette, которое прекрасно подошло к концепции этого видеоролика", написала певица в социальной сети. Команда режиссеров и операторов из Швеции прибыла сегодня в Молдову специально для съемок, которые прошли в Астрономической обсерватории Технического университета, историческом комплексе "Старый Орхей", туристическом комплексе "Пояна Брадулуй" и парке "Валя-Морилор". Представительница Молдовы Лидия Исак продолжает свою подготовку к конкурсу в Швеции. "В апреле я приму участие в крупнейших промоционных концертах Евровидения в Амстердаме, Лондоне и Москве. Вероятно, мы также снимем видеоклип на песню для ее онлайн продвижения. Также, мы планируем записать акустическую версию композиции. Песня уже звучит в эфире ряда радиостанций Европы," говорит Лидия в своем интервью PROMOTIME. Певица также усиленно работает над сценическим номером, и обещает, что он будет полон сюрпризов. "Шоу будет изменено и усовершенствовано, также и сценический костюм". Лидия говорит, что не обращает внимание на критику, а вместо этого фокусирует всю свою энергию и идею на подготовку шоу для Стокгольма и достижения своей главной цели: как можно лучше представить Молдову на шведской сцене. Ее главная поддержка исходит от продюсера и ее команды, которые работают каждый день ради достижения наилучшего возможного результата. Также ее поддерживают и воодушевляют семья, друзья и поклонники. Личными фаворитами Лидии в этом году являются представители Латвии, Швеции и Норвегии. Она говорит, что в этом году на конкурсе много артистов, обладающих индивидуальностью. Представительница Молдовы на Евровидении 2016 Лидия Исак дала подробное интервью Liber TV, и мы публикуем отрывки из него. - В прошлом году я была в Австрии на Евровидении вместе с группой Sunstroke Project, и мы там встретились с одним из авторов песни Полины Гагариной Леонидом Гуткиным. Я дала ему прослушать несколько своих песен. Ему очень понравился мой голос и мы приняли решение о сотрудничестве. И вот осенью он, вместе со своими коллегами из Швеции, прислал мне демо-версию песни, которая мне очень понравилась, я решила записать ее и подать на конкурс. Авторы песни уже дважды попадали в пятерку лучших на Евровидении, это - профессионалы высокого уровня в написании песен для конкурса. Текст песни говорит о чувстве любви, и ее посыл заключается в том, что любовь - это как падающие звезды, она может быть такой же яркой и в то же время неожиданной. - Для меня стало большой честью быть приглашенной выступить на финале румынского национального отбора и спеть в самом конце шоу перед объявлением его победителя. Мне очень понравилось выступать там, румыны очень гостеприимны и приветствовали меня с распростертыми объятиями, на сцене я ощущала себя превосходно. Качество вещательной технологии там тоже на высоте. Есть значительное отличие по сравнению с молдавским национальным финалом, особенно в плане телекартинки и звука. На молдавском отборе я тоже хорошо себя ощущала на сцене, и мне казалось, что звук тоже очень хороший, но потом оказалось, что качество звука, выходящего в эфир было другим. В Румынии же, звук в зрительном зале и звук в телеэфире, оба были отличными. - В Стокгольме у меня будет совершенно иное шоу и иное платье. Сейчас мы находимся в процессе переговоров и поиска режиссеров, которые займутся созданием сценической постановки. Мы думаем создать что-то современное, поскольку у нас не будет много танцоров, то мы хотим сфокусироваться прежде всего на видеоэкранах, LED-панелях. Я пока не могу рассказать каких-то деталей постановки или моего платья, поскольку мы в настоящее время находимся в процессе поиска, еще рано. Сначала нам нужно определиться с тем, каким будет шоу, и уже затем мы подберем платье в соответствии с шоу. - Все требует улучшение: исполнение, шоу, костюмы, движения на сцене! Представлять Молдову на Евровидении - это вызов для меня. Это сцена, которая должна изменить меня. Я уже чувствую, что начала меняться внутри. Я осознаю, что мое время пришло, что я - готова, и этот конкурс станет трамплином для моей карьеры. Евровидение - это огромная промо-платформа, потому что ты поешь на его сцене для миллионов людей, зрителей в зале и у телеэкранов. Но я не буду останавливаться на этом, я буду записывать новые песни, я планирую выпустить альбом. После Евровидения вы услышите еще много о Лидии Исак! - Была и конструктивная критика, была и критика, которая нам непонятна. Но в этот момент, я хочу читать о себе что-то позитивное, я хочу заряжаться этой позитивной энергией. Мне нужна храбрость и уверенность, чтобы сфокусироваться на том, что я делаю. В этом году будет весьма сложно попасть в финал, потому что Молдова выступает в первой части первого полуфинала, а страны, которые традиционно поддерживают нас - Румыния, Украина, попали во второй полуфинал. Но, тем не менее, наша цель - выйти в финал. Мы хотим добиться, чтобы наша песня понравилась как можно большему количеству зрителей в Европе, даже из стран, которые обычно не давали нам много баллов. В гостях у программы "Cine vine la noi?" представительница Молдовы Лидия Исак рассказала о том, как готовится к промоционному туру по продвижению своей конкурсной композиции "Falling Stars". В списке европейских столиц, где она постарается очаровать публику, значатся: Лондон, Амстердам, ряд городов Румынии и других стран европейского сообщества. По словам Лидии Исак, участие в первом полуфинале Евровидения несколько не в ее пользу, но она очень рассчитывает на поддержку российских меломанов. Певица уже дала два интервью российским телевизионным каналам, которые проявили интерес к ее биографии, а привлек внимание журналистов тот факт, что родилась Лидия Исак в Санкт-Петербурге, в ту пору, когда ее родители были там студентами. Лидия Исак говорит, что "Евровидение" служит стартовой площадкой в большое искусство для новичков сцены, но тем, кому повезло принять участие в этом песенном состязании стали артистами, имена которых до сих пор на устах меломанов во всем мире. Осознает она, и какая ответственность ложится на ее плечи, представляя Республику Молдова. Силы и уверенности ей придает доверие, оказанное телезрителями и профессиональным жюри национального этапа конкурса. В воскресенье, после своей победы на национальном отборе Лидия также посетила шоу Bună dimineaţa de weekend!". Представительница Молдовы Лидия Исак побывала в гостях на передаче "Mesager Stop-cadru", где заявила, что уже приступила к намётке некоторых идей для шоу к 10 мая, и призналась, что с нетерпением ждёт выхода на большую сцену в Стокгольме. Певица отметила, что после национального конкурса ей ещё практически не удалось отоспаться, но, тем не менее, она уже начала расписывать свою рабочую программу так, чтобы успеть с подготовкой к международному шоу в Стокгольме. Несмотря на то, что критика в адрес певицы лилась рекой, Лидия Исак утверждает, что она готова согласиться с любым конструктивным замечанием и что будет работать дальше, чтобы доказать, что заслужила того, чтобы стать победителем этого конкурса. "Вполне нормально, чтобы возникали споры, чтобы была критика, но тем больше меня радует, что есть и хорошие мнения, причём, как в Республике Молдова, так и за её пределами. Именно это побуждает работать ещё упорней, потому что у меня в запасе есть два месяца, в течение которых можно многое изменить", - сказала исполнительница. Лидия Исак обещает впечатляющее шоу. Она заявила в студии телеканала "Молдова 1", что своим выступлением в Стокгольме ставит перед собой задачу продвигать имидж Республики Молдова. Организаторы телевизионного шоу, которые обещают зрителям общественного телеканала "Молдова 1" незабываемое зрелище, объявили имена ведущих национального отбора. Представлять конкурсантов в первом полуфинале, который состоится завтра, 23 февраля, будут Глория Горчаг и Серджиу Безницки. Тон состязанию зададут Алёна Мун, которая представляла Республику Молдова на конкурсе "Евровидения" в 2013 году, и недавно созданная ею группа. На сцену выйдут и танцоры шоу-балета "Just Friends". Второй полуфинал состоится 25 февраля. Вести концерт будут Михаела Крынов и Серджиу Безницки. Порадует зрителей музыкальным мини-спектаклем группа "Gândul Mâței". И, наконец, большой финал национального конкурса "Евровидение-2016". 27 февраля вести заключительный концерт будут Серджиу Безницки и вернувшаяся из декретного отпуска телеведущая Оливия Фуртунэ. Атмосферу постараются накалить до предела Паша Парфени, который защищал честь республики на "Евровидении" в 2012 году, и танцевальная группа "Space". Студия №2 общественного телеканала "Молдова 1" готова к самому грандиозному событию года. Организаторы национального этапа отборочного конкурса "Евровидение-2016" утверждают, что в этом году телевизионное шоу будет существенно отличаться от предыдущих концертов, и в плане оформления сцены, и по качеству звучания. По их словам, декор и подсветка из более ста светодиодных лампочек и экранов, арт-инсталяции, которые устанавливались два дня и три ночи, будут задействованы по максимуму и превратят музыкальное шоу в незабываемое красочное и яркое зрелище. В этом году сцена, на которой будут выходить конкурсанты, занимает площадь в 140 квадратных метров. "Впервые будут использованы для декора движущиеся боковые экраны. Их установка заняла почти трое суток. Инсталляции массивны и потребовали больше времени для сборки", пояснил продюсер телеканала "Молдова 1" Леонид Мельник. Предлагаем вам посмотреть репортаж Телевидения Молдовы о начале репетиций. Студия № 2 на время уже превратилась в некий муравейник. Конкуренты двух национальных полуфиналов конкурса "Евровидение-2016" приступили к репетициям. У каждого конкурсанта было в распоряжении 30 минут. Исполнители приводят в порядок каждую мелочь, готовясь к концертам полуфиналов. Лидии Исак, например, очень понравился звук, да и оформление. По её утверждению, в этом году сцена более зрелищна, чем в прошлые годы. "В моём случае всё было очень хорошо, потому что у меня уже было много репетиций до этого. Работаю с профессиональной командой. Звук понравился, чувствовала себя комфортно. К конкурсу готовлюсь с момента подачи заявки. Думаю, что смогу выступить достойно, а для высокого уровня нужно много трудиться, долго готовиться", - сказала певица Лидия Исак. Чем ближе полуфиналы, тем больше волнений, а состязательность становится более очевидной, отмечают исполнители. "Выход на сцену в полуфинале с очень сильными конкурентами – это и очень сильный стимул, факт сам по себе заставляет быть и более взыскательным к своему выступлению. У нас очень хороший настрой, думаем, удастся взорвать зрительную аудиторию", - отметил исполнитель Макс Фолл. Практически все исполнители в унисон заявляют, что упорно трудились более двух месяцев, готовясь к предстоящему конкурсу. "Очень нравится оформление сцены, можно сказать, декор экстравагантен. Подсветка очень богата, наверное, будет очень красиво в сочетании с нашей видеографикой", - заметила исполнительница Родика Акулова. Все три концерта в режиме LIVE будут транслироваться во вторник, в четверг и в субботу общественным телеканалом "Молдова 1", Радио Молдова, Музыкальным каналом национального радиовещания и онлайн порталом trm.md. Начало телевизионного шоу – в 19:40 местного времени. Продюсер трио Elle Алла Донцу предложила передать песню "Tare", прошедшую в полуфиналы отбора Молдовы, любым желающим исполнителям. Напомним, что вчера организаторы национального отбора допустили выступление трио Elle с обоими песнями, но "Extaz" должна была прозвучать только вне рамок конкурса. При этом, "Tare" Наталья Барбу и Николета Дара исполнили в дуэте. В итоге, данная композиция вошла в состав 24 полуфиналистов национального отбора. "В национальном отборе могут принимать участие только те песни, которые были заявлены для участия в нем до 7го декабря, согласно регламенту национального отбора", вновь уточнил член оргкомитета конкурса Леонид Мельник. Продюсер коллектива поблагодарила всех тех, кто поддерживает их позицию, и особенно трех исполнительниц, назвав их "настоящими героями". Юрист коллектива Фадей Нагачевский отметил, что группа как планирует подать жалобу в Европейский Вещательный Союз, так и оспорить решение оргкомитета об отказе допуска Extaz к конкурсу в национальном суде. Официального заявления о снятии группы с национального отбора, правда, на данный момент, не поступало. Прослушав 46 заявок, национальное жюри Молдавского отбора определилось со списком 24 артистов, отобранных для участия в полуфиналах. С выступлениями полуфиналистов вы можете ознакомиться в данном плейлисте, а со всеми выступлениями участников прослушиваний здесь. Заменят ли одни из фаворитов молдавского отбора на Евровидение трио Elle одну из своих солисток и конкурсную песню? Сразу же после оглашения списка участников молдавского отбора на Евровидение, в интернете появилась серия публикаций о том, что в нем примет участие новое трио Elle - Наталья Барбу, Николета Дара и Таня Черга. Напомним, что в прошлом году они выступали в качестве гостей национального отбора. Однако, уже спустя несколько часов информация изменилась - и вместо упоминания Тани Черги, в публикациях стала упоминаться некая "неожиданная участница", чье имя станет известно через несколько дней. При этом, ее лицо на заявленной фотографии трио также не было различимым. Сегодня тайна частично была раскрыта, и группа Elle презентовала свой официальный состав. Его третьей вокалисткой стала румынская певица Ale Blake, как и Черга входящая в состав артистов Studio One и известная многочисленными проектами с Sasha Lopez. Одновременно с презентацией трио была представлена и песня "Extaz". Напомним, что в оригинальной публикации телеканала TRM была выложена другая песня - "Tare". Продюсер проекта Алла Донцу выпустила заявление, рассказывающее о том, что певица Таня Черга уведомила руководство проекта о полной невозможности принять участие в конкурсе по необъясненным личным причинам. Однако, поскольку в проект уже были вложены время, творческие усилия и финансовые ресурсы, было решено сохранить его, и попробовать найти новую третью участницу в группу, в то же время подав в оргкомитет демоверсию песни "Tare" с вычищенным вокалом Черги. Однако, найти подходящую к гармонии и концепции песни исполнительницу так и не удалось. В этих обстоятельствах, менеджмент проекта решил обратиться к телеканалу TRM с просьбой разрешить замену конкурсной песни, учитывая исключительные обстоятельства отказа от участия одной из солисток. Новой предлагаемой песней стала "Extaz", на которой в качестве третьей участницы трио спела Але Блейк. Донцу обращает внимание на пункт правил, гласящий "Все вопросы, не регламентированные правилами отбора, должны быть рассмотрены и решены организаторами национального отбора". Она подчеркивает, что изначально группа выполнила все требования, предъявляемые к участникам национального отбора на конкурс, но ситуация была непредвиденной и исключительной. Донцу добавляет, что "Замена песни "Elle" ни в коем случае не затрагивает интересов других участников конкурса, скорее наоборот, ставит их в более выгодную ситуацию, поскольку они уже начали раскрутку своих песен, в то же время как у "Extaz" на это будет меньше времени". Донцу говорит: "Если ТРМ подойдет к вопросу формально, то "Elle" будут лишены возможности принять участие в национальном отборе на Евровидение 2016". Она вновь и вновь обращает внимание на то, что организаторы отбора могут расследовать все обстоятельства, но она уверена в том, что никакого злого умысла в действиях трио "Elle" или его руководства обнаружить не удастся. Таким образом, она надеется на том, что решение ситуации, не регламентированной детально правилами отбора, будет найдено на основе духа конкурса, принципа благоприятного подхода и толерантности к артистам, принимающим участие в нем. Обновление: Сегодня было принято официальное решение. "Оргкомитет Евровидения в Молдове решил не принимать замену песни, поскольку это не соответствует правилам конкурса", заявил прессе Леонид Мельник, член организационного комитета Евровидения в Молдове. Теперь группе предстоит определиться, хотят ли они все еще принять участие в отборе с песней "Tare". "Шансы на то, что мы снимемся с него составляют примерно 90%", отметила продюсер проекта Алла Донцу. Напоминаем, что живые прослушивания кандидатов на участие в национальном отборе Молдовы намечены на 19е декабря. Завершился прием заявок на участие в молдавском отборе на конкурс Евровидение, всего в этом году принять участие изъявили 47 исполнителей, приславшие 49 песен. При этом, двое из них оказались зарубежными гражданами и их участие было отклонено, итого к отбору допущены 47 композиций. Среди кандидатов, например, трио Наталья Барбу (Евровидение 2007), Дара и Таня Черга, в прошлом году выступавшие на национальном отборе в качестве гостей. Лидия Исак (солистка Glam Girls, Sunstroke project) примет участие в конкурсе с песней, написанной Габриелем Аларесом и Леонидом Гуткиным, авторами песен Дины Гариповой и Полины Гагариной. В списке есть и ряд других участников отборов прошлых лет: Дойница Герман, Валерия Паша, Фелиция Дунаф, Иван и Родика Акуловы, Диана Бреcкан и др. Неожиданной для многих стала заявка от белорусской группы Litesound, принимавшей участие в Евровидении 2012, спетая ими в дуэте с Екатериной Кожокару. Напомним, что 17 ноября в правила отбора были внесены изменения, позволяющими участие иностранных вокалистах в дуэтах или группах с молдавскими артистами, при том, что процент молдавских вокалистов в коллективе будет не менее 50%. К гражданству авторов песен требований нет, и, по меньшей мере шесть заявленных песен были написаны шведскими авторами. Участвующие композиции можно прослушать на сайте trm.md и на канале Youtube. Молдавский вещатель TRM вновь выберет представителя на конкурс Евровидение посредством открытого национального отбора "O melodie pentru Europa". Правила отбора были опубликованы 13 октября 2015 года. После прошлогоднего эксперимента с разрешением участия в национальном отборе иностранцев, в этом году телеканал TRM первоначально ограничил круг возможных участников отбора только гражданами Молдовы. Однако, 17 ноября в правила отбора были внесены изменения, позволяющими участие иностранных вокалистах в дуэтах или группах с молдавскими артистами, при том, что процент молдавских вокалистов в коллективе будет не менее 50%. К гражданству авторов песен требований нет. К самим композициям применяются обычные правила Евровидения. Крайний срок для подачи заявок установлен на 7 декабря 2015 года, 17:00. Всего было получено 49 заявок (2 были дисквалифицированы за исполнение только зарубежными певцами), и их можно прослушать на сайте trm.md и на канале Youtube. 1. Внутреннее прослушивание поданных материалов профессиональным жюри (в которое войдут авторы, композиторы, поэты, продюсеры и т.п.). Жюри отберет до 50 песен для участия в следующей стадии отбора. Внутреннее прослушивание пройдет 10 декабря 2015 года. Критериями, применяемыми на нем, являются: мелодия, аранжировка (оркестровка), вокал и манера исполнения, оригинальность песни - эта стадия отбора была отменена, поскольку число заявок было ниже 50. 2. Все участники, вышедшие во второй тур представили свои песни на живых прослушиваниях, призванных продемонстрировать их живые вокальные возможности, а также песню, предлагаемую ими для национального отбора. Прослушивание прошло 19 декабря 2015 года. На этой стадии допускалось использование записанных бэк-вокалов, не обязательны сценические костюмы или хореографическое шоу. Основными критериями, применяемыми на этом этапе, были: вокальное исполнение, сценические манеры, музыка и текст песни. Жюри: музыкант Петре Тома, певица и композитор Валерия Барбас, дирижер Андриано Мариан, певец и композитор Руслан Цэрану, писатель и сценарист Люминица Думбравяну - определило 24 полуфиналиста отбора. Прослушивание было публичным, транслировалось в прямом эфире на сайте trm.md. Каждый исполнитель мог пройти в стадию полуфиналов только с одной песней. Полные видео прослушиваний можно увидеть здесь: 1, 2. 3. Телевизионная стадия отбора будет включать в себя два полуфинала 23 и 25 февраля и национальный финал 27 февраля. Все шоу будут транслироваться в прямом эфире на TV Moldova 1, Radio Moldova Actualități, Radio Moldova Tineret, Radio Moldova Muzical из студии №2 Телевидения Молдовы. Из каждого полуфинала в финал выйдут по 7 исполнителей, выбранных совместным голосованием телезрителей и жюри (в случае равенства баллов приоритет получит фаворит жюри), а еще один исполнитель будет спасен телезрителями во время нового этапа голосования во время афтер-шоу. Жюри национальных полуфиналов и финала будет состоять из 5-11 членов. Критерии, используемые жюри, будут включать в себя: оригинальность музыки и теста песни, вокалы и манера исполнения, концепция сценического номера. Победитель национального отбора будет вновь выбран комбинацией голосования зрителей и жюри, в случае равенства баллов фаворит жюри вновь будет иметь преимущество. 1го февраля Litesound & Katherine объявили об отзыве своей заявки с участия в национальном отборе по личным причинам, в конкурсе их заменила Валентина Нежел с песней "Va fi târziu". Жеребьевка полуфиналов шоу прошла 11го февраля. Во время церемонии жеребьевки TRM объявил о партнерстве с Коммерческим банком "Moldindconbank" и Мобильным оператором "Unite". В преддверии полуфиналов TRM показывает ряд программ, связанных с конкурсом: помимо ежедневной специальной программы "Postcard Eurovision 2016", конкурсанты отбора также принимают участие в программах Bună dimineaţa!, Bună dimineaţa de weekend! и Cine vine la noi?. Несмотря на различные заявления в прессе, менеджмент группы ELLE не отозвал свою заявку официально до жеребьевки, потому она получила 12й номер во втором полуфинале. Официальный отзыв пришел только 15го февраля, и Elle в конкурсе заменил Виталие Тодирашку. Ведущими первого полуфинала национального отбора станут Глория Горчаг и Серджиу Безницки. Алена Мун, участница Евровидения 2013, выступит в качестве гостьи шоу. Также на сцене появятся участники шоу-балета Just Friends. Ведущими второго полуфинала станут Михаела Крынов и Серджиу Безницки, а специальными гостями - группа Gândul Mâței. Ведущими финала станут Серджиу Безницки и Оливия Фуртунэ, а специальным гостем шоу будет участник Евровидения 2012 Паша Парфени и танцоры из группы Space. В состав жюри полуфиналов отбора вошли певец Iurie Mahovici, певец и композитор Valeria Barbas, дирижер молодежного оркестра Andriano Marian, актер Boris Cremene, певица и автор песен Geta Voinovan, композитор Vladimir Beleaev, танцовшица Svetlana Gozun, певец и композитор Ruslan Țăranu и актриса Angela Ciobanu (1 полуфинал), певец Ion Razza (2й полуфинал). В финале, помимо Mahovici, Barbas, Marian, Cremene, Voinovan Gozun, Razza в жюри также входили глава Национального театра Оперы и балета Ion Brătescu, член Союза Композиторов Молдовы Pavel Gamurari, композитор Liviu Știrbu и певица Aliona Moon (Евровидение 2013). Сцена шоу в этом году будет размером в 140 кв. метров, и впервые будет изменяемой, содержать подвижные экраны. Сборка сцены заняла два дня и три ночи.